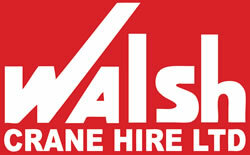 Welcome to Walsh Crane Hire Ltd. We are the heavy lifting specialists for the Western and Midland regions in Ireland. We have a range of modern cranes from our 25 ton City Crane to our 250 ton Liebherr. Our professional services are employed to clients on a variety of different projects in Ireland. We have worked on the Corrib Gas Project, the Aviva Stadium and the N17-N18 motorway. 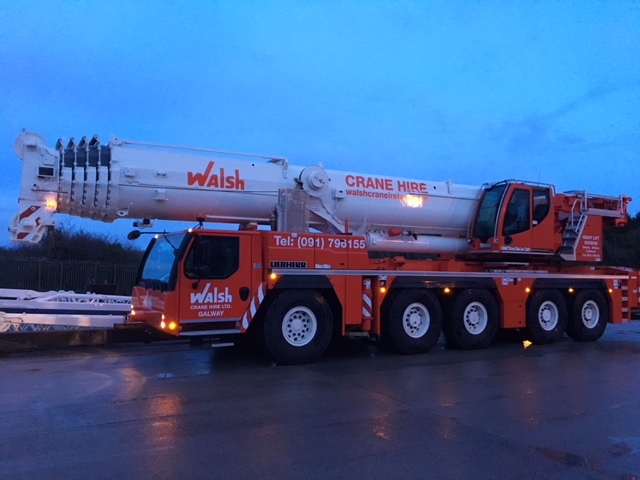 With the most experienced and skilled crane operators, we offer full contract lifts along with standard crane hire and spreader beam hire, man baskets and concrete skips to meet all your lift requirements. Covering the Marine Industry, Electronic, Mechanical, Construction, Wind power, Telecoms etc.